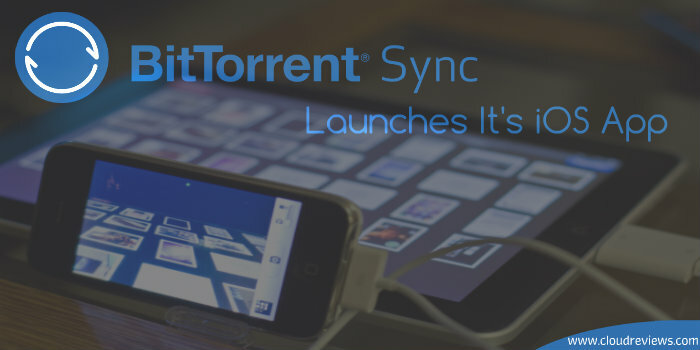 Just when you were thinking about a different option of syncing and backing up your data between your iOS and other devices, BitTorrent Sync launches its application for iOS this Tuesday, initiated by the same community who gave us uTorrent (a popular torrent application). Back in April 2013, BitTorrent Sync launched its cloud-free software for computers, through which users have complete control with file sharing and storage without any limit. Without the involvement of cloud intermediary, users are more comfortable with their confidential data and information as it can’t be accessed by any third party. Through BitTorrent Sync for iOS, iPhone and iPad users not only get another option of sharing, syncing and backing up their data, but it’s a reliable one too! It ensures you about the safety of your data and it’s completely FREE with UNLIMITED storage space. Additionally, it supports multiple-languages for easy understanding of people around the globe. BitTorrent lets you sync unlimited files on your own devices or share with your family and friends with folder sharing option. While the data is not revealed to external servers, it satisfies the security and privacy needs of consumers. Further, it can easily handle large file transfers so you will have a hassle-free way of file sharing. So just forget about wasting your time on compressing the files. BitTorrent Sync started with the testing phase in April this year. And with the introduction of beta version for Windows, OS X, Linux and Android in July, they claimed data transfer of 8 Petabytes by their users on a positive note. Not to forget, Sync wasn’t the only plan of BitTorrent product-line. They have also launched new services including a Video Streamer and large files sharing app known as SoShare. Talking about other popular data storage providers such as Dropbox, SkyDrive, Google Drive etc. They may be widely used, but can they keep up with the new security concerns of their users? It’s obvious that with time, public will get more and more aware of technology with its pros and cons. 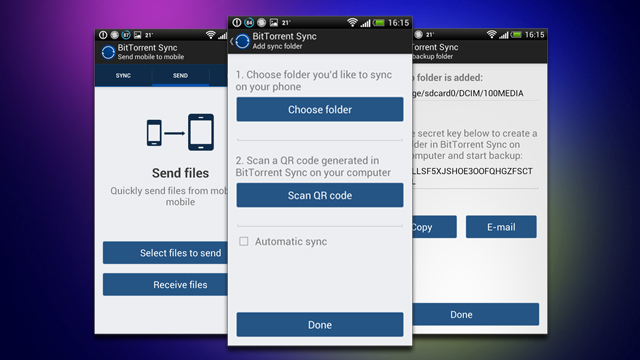 So next time when you are planning to sync your data for yourself, need to share it with your contacts or just need a backup, you know that Sync from BitTorrent can be the best, secure and most of all, a FREE platform that you can use. It’s about time that it gets the attention of individuals and big industries as well and we will perhaps witness some new features added to it soon.